Includes space for three tasks per day at different hourly rates. 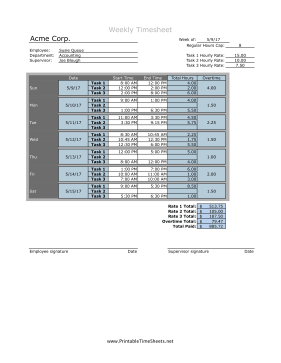 Blended overtime is calculated on a daily basis, with a cap set by the user. User must fill in start date, hourly rates for all three tasks, and start and end times for each task.